Modern geology generally excludes global cataclysms as having any role in shaping the surface of the Earth. Catastrophic events are acknowledged as having some limited role: impacts, volcanism, supernovae, climate change etc. but usually such events have been called upon to ‘explain’ certain specific occurrences e.g. the extinction of the dinosaurs and such events always happen at a safe distance in both time and space. Whilst we have no real understanding of the true age of the Earth we do find surface features that don’t fit with an ‘old Earth’ view. It is entirely possible that the Earth is older than the consensus view if so, we have a discrepancy, an ‘old’ Earth with ‘young’ surface features that are frequently seen as just as ancient by consensus science. Could it be that many of the Earth’s surface features are not ancient but geologically speaking ‘young’? Does the Western Interior Seaway Have a Catastrophic Explanation? Geologists have traditionally interpreted the geological evidence from North America as having indicated, during the Cretaceous Period, the presence of a shallow mid-continental sea, the Western Interior Seaway (http://en.wikipedia.org/wiki/Western_Interior_Seaway). Now compare the map shown in the link above with the maps shown in the following two links: http://creation.com/watery-catastrophe-deduced-from-huge-ceratopsian-dinosaur-graveyard and http://www.icr.org/article/8531. All three maps highlight approximately the same area of North America but have radically different interpretations. This area is rich in fossils of extinct life- dinosaurs, pterosaurs, marine reptiles even various mammal groups including whales; in fact we find the remains of an entire lost ecosystem! Most are found in huge jumbled deposits known as ‘graveyards’. These assemblages better fit a catastrophic deposition scenario rather than the slow thousands/millions-of-years story. Creationist researcher Michael Oard in his book ‘Dinosaur Challenges and Mysteries’ (see: http://creation.com/dinosaur-challenges-and-mysteries) introduces to the reader a hypothesis he calls BEDS (Briefly Exposed Diluvial Sediments) which is required under the creationist model to explain the strata and fossil distribution found in this band running the length of North America. From another article (see: http://creation.com/dino-stampede) Oard writes, ‘There is another interpretation that also fits the facts and that is the BEDS (Briefly Exposed Diluvial Sediments) hypothesis…The BEDS model is based on the fact that the level of the Floodwater would fluctuate up and down as it rose in the first half of the Flood. The fluctuation would be caused by tides, uplift and sinking of the earth’s crust, and other mechanisms including effects of the earth’s rotation.’ (my emphasis) I have written about the role of vertical tectonics on another thread. Creationist scientists have realised that the stratified layers of sedimentary rock covering the Earth’s surface would not have formed just by rising water levels alone, so, they have to invoke additional influences, tidal waves, hypercanes, close planetary encounters etc. to produce sizeable currents of water required for sediment transportation and deposition. The Phanerozoic rock record covering or partly covering North America is comprised of six megasequences (megasequences are discrete groups of sedimentary rock layers bounded top and bottom by erosional surfaces, often with coarse sandstone layers at the bottom, followed by shale, and then limestone at the top), conventionally this spans over some 500 million years but what if each megasequence represents a marine transgression/regression cycle caused by the close approach of a planet/moon sized body? 3. Strata are not always a measure of chronology. Of course, the key element missing from both conventional and creationist science is electricity- the possibility of electrical erosion and deposition is not entertained let alone any electrically induced changes in surface gravity. In my view the cataclysm which brought about wide ranging changes to the Earth was triggered by a change in the electrical relationship between the Earth and its environment. Such a change may well have resulted in close encounters with other planetary bodies, which were affected by a similar change to their environment. Does the Phanerozoic rock record represent 500 million years of slow gentle deposition? If not then it must be the signature of a global cataclysm one measured in years, perhaps but not hundreds of millions of years in duration and not millions of years ago. Viewed in this light the sedimentary layers of the Western Interior Seaway would appear to have a catastrophic explanation. It would, indeed, be a narrow strip of land and not a shallow sea; a fleeting refuge for some, a final resting place for most ‘as surges of water rush into the continent interior’. 2. Baumgardner, J (2013). Explaining The Continental Fossil-Bearing Sediment Record In Terms Of The Genesis Flood: Insights From Numerical Modeling Of Erosion, Sediment Transport, And Deposition Processes On A Global Scale. Proceedings of the Seventh ICC. The origin of Earth’s limestone and dolomite are, after over one hundred years of theorising , still a problem for geology; even more so since these rocks have been found to be a part of the constituents of comets! This is essentially the standard geological theory for the formation of carbonate rocks but is it correct? So, if the Redwall Limestone deposits of the Grand Canyon did not form over millennia in calm tropical seas, how did they form? A clue can be found at Nautiloid Canyon. Austin explains; ‘Evidence of rapid deposition and burial of fossils is found in the Redwall Limestone. Along the Colorado River at Nautiloid Canyon, just north of Grand Canyon, the Redwall Limestone contains large fossils of nautiloids—"squid like" marine animals that possessed a straight shell, sometimes over two feet long. The long, slender shells of numerous nautiloids, in Nautiloid Canyon, have a dominant orientation, indicating that current was operating, as "fine grained" lime mud accumulated. 'Not all limestones of Grand Canyon are fine grained. Some contain coarse, broken fossil debris, which appears to have been sorted by strong currents. The Redwall Limestone contains coarse, circular disks (columnals) from the stems of crinoids—marine animals which lived in a cup, or head, attached to the stem. Evidently, water currents winnowed the finer sediment away, leaving a "hash" of crinoid debris. Occasionally, the heads of crinoids are found embedded in the coarse, circular disks. Sometimes these occur in deposits of inclined bedding (cross beds), which imply strong currents. Because modern crinoid heads in today's ocean are susceptible to rapid breakdown when these organisms die, we conclude that rapid burial is needed to produce fossil crinoid heads. The fossils of Nautiloid Canyon tell a story of catastrophic burial. One in which these creatures became trapped in a thickening flow of carbonate material eventually cementing them in the rock record. How could this not be the case? Otherwise we have to assume that individual nautiloids neatly aligned their conical shells during death, over thousands and millions of years, waiting to be fossilised! But, what and where was the source material that formed the limestone deposits mentioned in the paper by Austin? Carbonatites are an unusual type of rock consisting of greater than 50% carbonate minerals and have a global distribution. The only active carbonatite volcano is Ol Doinyo Lengai in Tanzania; the lavas of Ol Doinyo Lengai are rich in the rare sodium and potassium carbonate minerals and are known as Natrocarbonatites. Other forms include Ferrocarbonatite, Calciocarbonatite and Magnesiocarbonatite. Carbonate rocks are not usually thought of as being igneous in origin but the idea is not a new one. Could it be that the guyots and seamounts of the western Pacific Ocean are all that remains of a former continent-sized carbonatite/carbonate platform; a platform that was easily eroded by wave action during a cataclysm, the erosional products of which were transported far to the east to be deposited on a pre-existing landmass? Were Calciocarbonatites and Magnesiocarbonatites eroded re-worked and deposited as limestone and dolomite? If so, then perhaps limestone and dolomite should be re-classified as ‘catastrophites’! 2. Austin, S. A. 1990. Were Grand Canyon Limestones Deposited by Calm and Placid Seas? Acts & Facts. 19 (12). Since you're not discussing electric forces here, this thread may get moved to NIAMI. The E.U. derived from catastrophism, but they don't have a board for that for some reason. It's interesting that carbonates may be igneous. It turns out that salt also is likely igneous. I think I saw an article recently that said there's a large deposit of carbon under the western U.S. I only read the title. If the Pacific had a deep thick layer of igneous carbonate that later eroded onto the continent, there must have been a carbon layer under the Pacific too, unless it came from the western U.S. source or something. Here's that article about a deep carbon reservoir under the western U.S.
That's rather huge, equivalent to over 800 miles square. And it's said to be 350 km deep and is melting. It probably melted during rapid continental drift due to a major impact over 4 millennia ago. If so, the carbonates in the Pacific must have been from an earlier catastrophic event. Thanks for the link to your thread plenty of reading there! I posted this thread as a focus for views, observations and contributions not accepted by consensus geology (extending to palaeontology) that better suit a catastrophic interpretation. Whilst not all geological features require or necessitate an electrical aspect, in my view an electric discharge was the ‘prime mover’ during a catastrophic period of earth history. During this period both the characteristics of the Earth and its environment changed, a change the Earth is, even today, adjusting to- hence my thread ‘An Alternative to Plate and Expansion Tectonics’. I agree with your comment regarding salt, salt is certainly an igneous rock and I hope to post another contribution soon looking at a role played by salt- quite obviously I view the consensus geological explanation- vast dried up seas- with a large slice of scepticism! Salt may also play an important electrical role today something I touched on in ‘An Alternative to Plate and Expansion Tectonics’ given the amount of brines discovered by superdeep drilling projects- did conductive salt magmas play an electrical role in a past cataclysm? If correct, the discovery of carbonate under the U.S only confirms my view that our understanding of the structure and composition of the Earth’s crust and interior is in need of revision, perhaps the different compositional varieties of asteroids and comets can provide clues as these bodies would be remnants of the terrestrial planets themselves. Furthermore, it is possible that the reworking of chemically different carbonatites would have led to the formation of not only limestone but also dolomite. Well I must say this is strange. An examination of Phanerozoic rocks for signs of electrical processes, seems more like it. Perhaps one could find that the Sun was a lot less bright in the Precambrian and tie that into galactic electric currents, but I cannot see the interest in what you are looking into. Robert, I sent you a private message to discuss collaboration. Elsewhere I have suggested a similar process was involved in the formation of loess and the Worzel Deep Sea Ash (2). I see both processes occurring during a global cataclysm and both would have generated vast quantities of sediment available for transport. From Louis Hissink’s proposal I see the ‘Rainbow Serpent Mechanism’ functioning throughout the cataclysm- this would provide abundant amounts of sediment in the initial stages from, as I see it, a largely ‘flat’ Earth. Later episodes of the RSM carved dendritic patterns in newly raised areas of the Earth’s surface. Whatever process deposited Red Bed strata is not occurring today- the present is not the key to the past. The author suggests that such formations were deposited by huge tidal waves, according to the author "...in the past, moon orbits must have been strongly eccentric as a result of gravitational resonance between the moon and Jupiter and Venus." Another possibility is that the moon’s orbit was disturbed periodically by a passing "…errant celestial body…"
On this point I do not disagree with the author, in my view I see the Moon as a former independent planet that was captured by the Earth, such an event would surely have had catastrophic consequences for both bodies concerned. On the original website I had one minor area of criticism concerning the author’s comments about dinosaurs even going so far as to suggest that some dinosaurs- sauropods- had some degree of adaptation to large tides. Firstly, there are no preserved ecosystems, fossilised remains, dinosaur or otherwise, are found either isolated or in ‘graveyards’. Quite often terrestrial and marine creatures are found at the same location an observation that is rarely mentioned. Mass burial sites cannot tell us what environmental or evolutionary factors led to the development of- for example- the long necks of sauropod dinosaurs, as these and other creatures have been buried in unnatural conditions. Secondly, dinosaur track-ways are not records the natural movement of these animals, rather they record the unnatural movement of creatures fleeing an approaching danger- one that probably led to the demise of these animals. “The Grand Conglomerat at the base of the Kundelungu system in the former Belgian Congo is dated as late Precambrian. With a thickness of 2,500 feet and sometimes classed as tillite, it had posed the problem of equatorial glaciation versus a former polar location near the equator, but up to the present has not had a generally accepted explanation. The Ocoee series of late Precambrian age in the Great Smoky Mountains has been equally puzzling. It contains the Thunderhead Conglomerate, which is assigned a thickness of 6,000- 10,000 feet by King and co-workers. Although it contains some graded beds 5- 25 feet in thickness, most of it appears to have been deposited by more normal currents of high velocities. Barrell found no evidence of glacial origin. He believed the deposit to be of terrestrial origin brought by rivers of some length flowing on a considerable grade. Sediments of this character and thickness are nowhere being deposited at present. “The Shedroof is the extensive basal conglomerate of the Windemere series which underlies lower Cambrian formations and rests with strong unconformity on the Belt series in Washington and Idaho. It contains some beds of dolomite, which suggest marine deposition, and has a thickness range of 3,000- 11,000 feet according to Park and Cannon. It is poorly bedded and sorted and appears to correlate with units of the Windemere series in Canada which are described as tillite. It is younger than the Siyeh formation of the Belt series which Goldich and co-workers date as 740 and 780 million years by different methods. “The North Boulder Group in southwestern Montana is a basal conglomerate in the middle sequence of the Belt series. McMannis and Ross give it thickness of 5,000- 10,000 feet. To the north, it is overlooked by the Spokane Shale which Obradovich and Peterman consider to be the basal part of the Sun River and underlying sequences. “The Infracambrian formations present a unique combination of lithological characteristics and inferred stratigraphic environments over their entire extent. The predominant type is coarse, clastic, arkosic deposit which may be cross-bedded with alternating beds of siltstone and mudstone. The distinguishing characteristic is the presence of angular boulders and conglomerate layers in a poorly sorted matrix. In these characteristics they resemble ground moraine, fluvioglacial deposits, and boulder clay or tillite which are products of Pleistocene glaciers. For this reason they have been interpreted by Coleman, Howell, and others as representing an ancient widespread period of glaciation. This event is explained by Termier as having taken place between 700 and 680 million years ago. “Associated with these conglomerates and supposed tillites are limestones and dolomites of very substantial thickness, in some cases up to 10,000 feet. These carbonates are fine grained, often banded or ripple marked, with little evidence of organic remains except stromatolites (algae). They are inferred to be essentially chemical precipitates. Furthermore, analysis of Strontium isotope ratios indicates an increase of erosion rates, on the uniformitarian geological timescale, from the late Precambrian to the end of the Cambrian. All in all, the evidence points to a global erosional event or series of events that was then followed by a global depositional event or series of events- events that are not occurring on Earth today. Sedimentary strata were deposited during a paroxysm of nature not during an ice-age. It has been suggested that redbeds were deposited by the action of huge tides/ tidal waves but what is the significance of their red colour? Jan Snoep tells us that: "The work by Glennie et al. (1978) on Rotliegendes samples from 2000 metres depth below the North Sea has shown that haematite coating was not present at the points where sand grains touch. This is proof that there is an undeniable hypogene authigenic origin of the haematite in this case, and that red colouring is not a surface phenomenon, as was already concluded by Walker (1967), but took place long after sedimentation. Other neo-formation minerals include illite, chlorite, albite, analcime, dolomite, anhydrite, quartz and calcite, all indicative of an alkaline (sodic) environment." Red Beds attained their red colour after they were deposited but how? Red Beds are often associated with major lava outflows and ‘evaporite’ deposits is this a clue? “The common association of red beds and evaporites of all ages is striking on all continents. Present-day continental deposits do not contain great salt concentrations similar to the ancient ones. The old accumulations are incomparably larger in size than the recent ones and are all of marine origin. Busson (1972) draws the conclusion that the great salt accumulations of North Africa cannot be compared to supra-tidal or continental deposits, but can only be of marine origin, the more so as these deposits are commonly associated with high-energy conglomerates. He calls it a "marine desert” environment and insists also on the strong variations between the proportions of different evaporitic minerals within a single basin. Effectively, it is common to find hundreds of thousands of cubic kilometres of gypsum and limestone of evaporitic origin widely separated from the normally associated halite. This indicates clearly that conditions are different from the evaporation of a given quantity of seawater in a confined concentric setting, such as in a salt lake. The present sebkahs in coastal areas of desert country are several orders of magnitude smaller in size than the ancient salt accumulations. Present sedimentation conditions of evaporites are very different from the ones that existed during various periods in the past. The oldest salt deposits have been described in the Proterozoic of the Fenno-Scandian shield (Melezhik 2005). The author has concluded that the redbed- ‘evaporites’ connection is further evidence of the tidal nature of their formation. While I do not disagree with the tidal/ tidal wave redbed formation mechanism I do question the ‘evaporite’ evidence. What is at question here is the origin of salt, unlike the author I favour the magmatic theory for the origin of salt (9). Now, when we put the two theories together I propose that the red haematitic stain of redbeds arose via the action of brines associated with large salt magmas leeching out haematite from the associated basaltic lava outflows. Salt deposits are associated with occurrences of carbonatite lava outflows, carbonatite is found amongst the basaltic lava outflow of the Deccan Traps. These deposits and outflows show some degree of overlap, I suggested previously that limestone and dolostone are reworked carbonatite a ‘catastrophite’ if you will. To my mind the occurrence of Red Limestone in redbeds strengthens this proposal. Hissink, Snoep, Ager and Olson have all described geologic formations – sedimentary strata and sand- that require a catastrophic period in Earth history. An electrical discharge machining event(s) would have produced abundant quantities of sediment that would have been transported and redeposited in megasequences by winds and tides petrifying unsuspecting life forms in the process. The blood-red staining of certain deposits probably began as the cataclysm unfolded and continued until the flowing salt lavas and brines, having leached haematite from basalt outpourings, subsided. Sediment machined in the latter stages of the cataclysm was less likely to be redeposited as sedimentary rock, the global tidal waves having subsided, instead it formed deposits of regolith upon the reworked surface of the Earth. Very informative. I still haven't seen your long thread yet, but I read your shorter ones. You said: From Louis Hissink’s proposal I see the ‘Rainbow Serpent Mechanism’ functioning throughout the cataclysm- this would provide abundant amounts of sediment in the initial stages from, as I see it, a largely ‘flat’ Earth. Later episodes of the RSM carved dendritic patterns in newly raised areas of the Earth’s surface. Would you like to have an EU debate on this board or on the EU board? If so, may I start the thread? I'd like to see a comparison of these sands and rocks formed at the end of the Precambian and asteroids. If similar this will suggest the same origin for both. It is the connection with the Precambrian boundary which would suggest an event of interaction with another body. This topic is my area of research since 1973. I have entered probably a thousand TB posts on the subject so will not derail this great thread with personal remarks unless I see some blatant "problems" cropping up. Oard has done good work, and I value and support most of his conlusions. Looking forward to seeing more of your ideas. Robert said he's agreeable to debate (on both boards I think), so I'll start debating now. I guess he may take a few days to reply sometimes. Robert, you said at the top of your last post that Louis Hissink thinks "Australian Aboriginal stories of the Rainbow Serpent" came from their ancestors' observations of "planetary sized, electric-plasma discharge between the Earth and some cosmic interloper, the morning star, via the ionosphere, that literally ‘laser’ machined the Earth’s surface". In many areas of West Australia where the regolith "has been stripped off by erosion leaving isolated mesas upstream" he thinks the interplanetary electric discharge was the cause of the erosion and "partial melting of the clays and formation of droplets of glass or quartz.” You suggested "a similar process was involved in the formation of loess and the Worzel Deep Sea Ash" as "vast quantities of sediment available for transport". And "Later episodes of the RSM carved dendritic patterns in newly raised areas of the Earth’s surface". Q1: Have you done or read any calculations of EDM that support those ideas in detail? Q2: Do you know of experiments that show that EDM can erode surfaces like that and produce partly melted clays and quartz sand? Q3: A close encounter between planets would surely raise very high tides, causing megatsunamis, so why would not the cavitation effect produce the sand from granite bedrock and the tsunamis account for the sediment deposition and erosion, leaving behind some mesas? Q4: Doesn't water erosion produce dendritic patterns? Q5: The EU team accept much of Velikovsky's evidence on catastrophism, and Velikovsky referred to violent winds that occurred, so wouldn't the winds account for loess and volcanism account for deep sea ash? “The astronomer Thomas Gold suggested in 1962 that there was no reason to assume on the present data that the Sun had always emitted energy at the rate seen in the present era (Gold, 1962, discussion p. 170). He considered what effect a more massive solar eruption would have on the Earth’s immediate environment. In the scenario outlined by Gold, the increased solar wind pressure would drive the inner edge of the Earth’s [outer] magnetosphere down into the upper atmosphere. Gold argued that the atmosphere is a good insulator and so the storm-generated electric currents which normally run in this conductive inner edge of the outer magnetosphere would then encounter great resistance. In this circumstance, the path of least resistance is to short down in a massive and continuous ‘lightning strike’ or discharge through the atmosphere, run through the more conducting surface of the Earth, and short back up to the magnetosphere in a second discharge to close the circuit back to the magnetosphere (see Gold,1962, figs. 1 and 2). Robert Johnson proposes that just such electrical discharges acted to uplift modern mountainous regions to their present elevation- I agree. Such currents would flow if either Earth encountered another celestial body or Earth’s electrical environment changed. One area yet to explore- I see such discharge altering Earth’s surface gravity which may have contributed to the vertical tectonics at that time (see ‘An Alternative to Plate and Expansion Tectonics’ for my views on vertical tectonics). Of course, water being plentiful on the Earth’s surface undoubtedly play a role during the cataclysm- after all 95% of all fossils are of marine organisms- and John Baumgardner has conducted simulations on how tides/ tidal waves could generate sediment from crystalline basement forming the sedimentary megasequences, see: ‘Explaining The Continental Fossil-Bearing Sediment Record In Terms Of The Genesis Flood: Insights From Numerical Modeling Of Erosion, Sediment Transport, And Deposition Processes On A Global Scale. Proceedings of the Seventh ICC’. “The fractal signature of an electrical discharge is the Lichtenberg figure, (9) not only is this figure associated with canyons and riverbeds (10) it is also apparent in mountain ranges (11, 12). If the major canyons and riverbeds on Earth’s surface were carved out electrically then it is reasonable to assume that the iconic mountain form must have been also- possibly during the same electrical event. “One property of electric arcs is to preferentially strike raised surfaces, now, combining Johnson and Anderson we see that mountain formation was not only due to electrical uplift but also due to electrical erosion. In this image of the Tibetan Plateau -from the International Space Station- (13), we notice the uplifted plateau the rim of which has been eroded to form snow-capped mountain ranges. “The researchers concluded: ‘Apparently we require either a single very large volcanic explosion, or the simultaneous explosion of many volcanoes, or conceivably a cometary collision similar to that suggested by Urey as a "last resort type explanation" for the origin of tektites.’ In other words a global cataclysm is required to account for the ash. However, if we look at the chemical composition of the ash (17) we find it shares similar chemical properties with granite (18). “Loess covers about 10% of the Earth’s land surface and is according to Michael Oard: ‘…difficult to define, but it is generally considered to be wind-blown (Aeolian) silt. It is composed mostly of quartz grains, with minor portions of clay and sand often mixed with the silt. Loess is commonly intermixed vertically with ‘paleosols’, which are supposedly fossil soils that have been preserved in the geologic record or buried deeply enough that it is no longer subject to soil forming processes. Scientists previously believed the silt particles in loess were derived from ice abrasion, but they now believe that loess has both a glacial and non-glacial origin. “‘Loess covers much of the mid and high latitude continents, forming a thickening belt in Europe from the Atlantic coast east into Russia and the Ukraine in areas generally south of the Scandinavian Ice Sheet. It also covers a large portion of the Midwest of the United States, the lowlands of Alaska, southeast Washington and eastern Idaho and some 440,000 km2 of central China, where it is up to 300m thick. Millions of woolly mammoths and other Ice Age animals are mostly entombed in loess in non-glaciated areas of Siberia, Alaska and the Yukon Territory of Canada. Wind blown material is common within the Ice Age portion of the Greenland ice cores. “Whether it be ‘volcanic ash’, deep sea ash or loess the origin of this material is mysterious evoking massive eruptions of missing volcanoes or in the case of loess: ‘(1) hot deserts, (2) cold deserts, (3) drowned sources covered by late-glacial sea level rise and (4) glacial grinding.’ A more encompassing explanation would be that all this material is the by-product of the electrical erosion that occurred during the mountain forming period. Depending on exactly when the material was eroded determined its ultimate classification. For example, material eroded in the early stages may have been deposited whilst marine incursions were still ongoing- this material would have been incorporated into marine strata and interpreted as ‘volcanic’. During the latter stages when marine transgressions had subsided electrical dust storms would have scattered the material globally- eventually to settle on the ocean floor or entrap ‘Ice Age’ mammals. What is interesting here is the radiometric profile of the Woolfe Creek Crater with its radioactive crater rim! I agree with Louis Hissink what we’re looking at is an electrical discharge one producing radioactive elements in situ. Given the association of radioactive elements with granite and that: ““…great masses of granite are found to have been emplaced among deformed and metamorphosed sedimentary strata to form enormous granite bathyliths in the cores of major mountain ranges.” (ibid., p. 636). Granite is never found outside mountain belts (Bucher, 1950, p. 37).”; do we now have a link between electrical discharges and topographic uplift? Robert, you said: "What strata escaped being metamorphosed were eroded, pulverised and scattered by intense electrical winds (something similar but on a vastly reduced scale still occurs on Mars today"
- Are you referring to global dust storms from electrified dust devils? - Do you see dendritic EDM patterns on Mars from dust devils, like what you say are in Earth's mountains? - What about this article "Mars Dust-Devil Mystery Solved on Earth" at https://www.wired.com/2010/09/bright-dust-devil-tracks ? Most [Mars dust devil tracks] are darker than the surrounding sand. The coarser the grains of sand are, the darker they appear. When dust devils swish by, they clear their paths of smaller grains, leaving dark tracks like ... swirly tattoos. But occasionally, cameras orbiting Mars have caught glimpses of bright streaks on dark sand. - It shows that similar tracks to those on Mars are made on Earth by dust devils. So how do dust devils support EDM theory regarding original erosion of mountains on Earth? And why do Mars and the Moon have no mountain ranges like on Earth? - Here are dendritic patterns in normal water erosion. - So why assume EDM erosion produced the dendritic patterns in mountainous areas? Shall we discuss Oard's comments on Walter Brown's theory regarding the Grand Canyon? - Also, let's have a calculation of the maximum size and duration that's possible for an E.D. between say Earth and Venus at say 1 to 30 Earth diameters apart with maximum charge difference between them. Earth's oceans would surely get in the way; would they not? Granitic rock is widely distributed throughout the continental crust. Much of it was intruded during the Precambrian age; it is the most abundant basement rock that underlies the relatively thin sedimentary veneer of the continents. Outcrops of granite tend to form tors and rounded massifs. Granites sometimes occur in circular depressions surrounded by a range of hills, formed by the metamorphic aureole or hornfels. Granite often occurs as relatively small, less than 100 km² stock masses (stocks) and in batholiths that are often associated with orogenic mountain ranges. Small dikes of granitic composition called aplites are often associated with the margins of granitic intrusions. In some locations, very coarse-grained pegmatite masses occur with granite. Origin. Granite has a felsic composition and is more common in recent geologic time in contrast to Earth's ultramafic ancient igneous history. ... [G]ranitic rocks form the basement of all land continents. - So it seems that your quote from 1950 is wrong. Isn't it? It looks like granite is simply closer to the surface in mountain belts than it is in other parts of continents. - Do you have info on exactly how electrical breakdown can form granite? What was the material before it became granite? Wasn't some granite formed from sedimentary rock, like in New England? Can you rule out extreme heat and pressure as the cause of granite formation, since that would likely involve ionization and electrical forces? I know of a likely source for such heat and pressure. - Do you accept these statements? 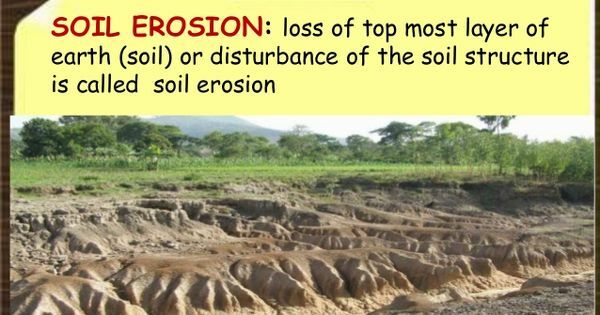 Loess is a sedimentary deposit composed largely of silt-size grains that are loosely cemented by calcium carbonate. The bulk mineral components of the Ili loess are dominated by quartz and feldspar with minor amounts of calcite, chlorite, mica, dolomite and hornblende. More than 20 types of heavy minerals were observed with major components of amphibole, magnetite and epidote. The major elements of the Ili loess are characterized by high abundance of SiO2, Al2O3 and CaO and minor amounts of Fe2O3, MgO, Na2O and K2O. - What evidence do you have that loess could not have been swept up from silt deposits by extreme winds during a global cataclysm? - Do you have reason to doubt the following? It appears that Worzel Ash is volcanic, not EDM. The extent of the "Worzel Ash" of Worzel (1959) and as discussed by Ewing et al. (1959) and Anders and Limber (1959) is now known to have been vastly overestimated. Detailed research published by Bowels et al. (1973), Drexler et al. (1980), Ledbetter (1984, 1985), and Ledbetter and Sparks (1979), which included trace element analysis and dating by biostratigraphy, oxygen isotope stratigraphy, and radiometric methods not performed by Worzel (1959), show that what he mapped as the "Worzel Ash" actually consists of a number of different beds of volcanic ash that vary greatly in age. They found that the "Worzel Ash" was not a single global ash bed. From the trace and minor element analysis of 128 volcanic ash samples from 56 cores, Bowles et al. (1973) concluded that the unit, which Worzel (1959) mapped as the "Worzel Ash" consists of different ash beds of differing ages including three regionally widespread volcanic ash beds. Ledbetter and Sparks (1979) found what they called the "Worzel D ash" to be the distal counterpart of the rhyolitic Los Chocoyos ash-flow tuff of Guatemala and both were the result of a caldera ("supervolcano") eruption. Drexler et al. (1980) found that the "Worzel D" (Los Chocoyos) ash was created by a massive caldera eruption of the Atitlan caldera, which buried ... much of the Guatemalan Highlands and Pacific coastal plain under a thick layer of ignimbrite and spread volcanic ash from Florida to Ecuador. Drexler et al. (1980) contains a map showing the distribution of the Los Chocoyos ("Worzel D" and Y8) ash bed. In this eruption, the Atitlan caldera erupted 270-280 cubic kilometers of volcanic material and created a huge volcanic caldera now filled by Lake Atitlan (Rose et al. 1987). - "More coring and detailed geochemical analyses by Ledbetter (1985) of ash layers recovered from cores in the Gulf of Mexico and the Pacific Ocean adjacent to Central America defined 11 distinct ash beds within the sediments underlying the Gulf of Mexico and Pacific Ocean surrounding Central America. This may be relevent, maybe not. Thinking about the Velikovskian encouter with Venus, and the earths spin stopping, the bible account says the waters in the river were scalding, just what you expect from the translation of kinetic energy to heat. Lets assume the rivers were at about 10C, scalding could be anywhere from 45-80C so 35C heat gain. Water has a very high specific heat, using the same amount of energy to raise water 350 would raise limestone to about 160C. We're not just looking at a surface effect, in practical terms it's the whole lithosphere and then some. There would be all sorts of ore bodies deep down already near critical so massive amounts of inner heat would be carried up towards the surface. Any cracked rocks that got above 100C would cause massive steam explosions. Then of course we have all the seas rushing poleward, and back again, and on the way back meeting very hot rocks, the atmosphere was probably at close to 100% humidity for days.